Need to work with elements ? 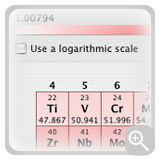 We will supply you with a beautiful and easy to use Periodic Table and a powerful Molecular Weight Calculator. 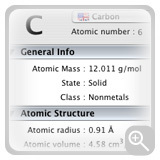 Ideal for students, teachers and researchers in chemistry or physics, and all persons who need information on atoms. Full-featured and cool design. 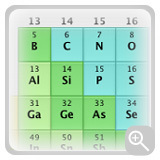 We provide you with an up-to-date periodic table of elements. 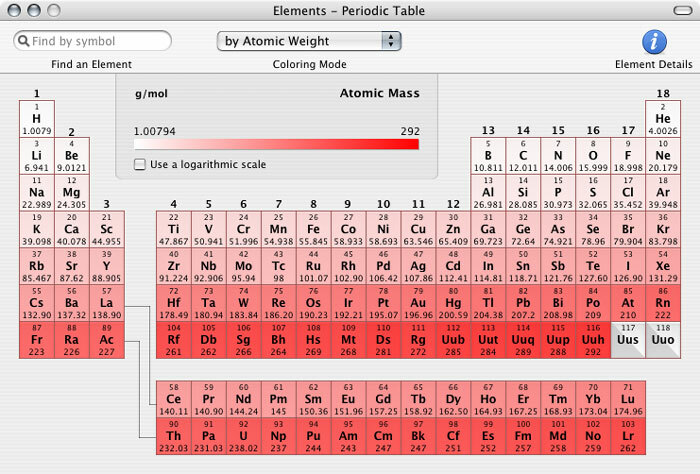 This table handles elements informations (1), is searchable and use beautiful colors. 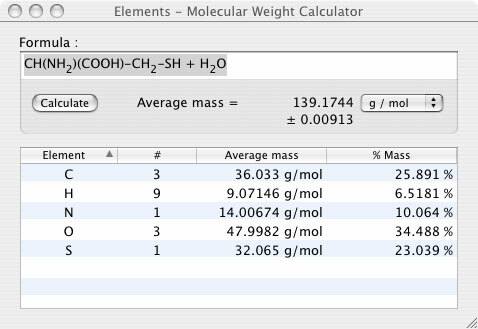 You get General information on each element just by moving your mouse over (tooltip display). And if you need full information on an element, just click on it and all information will be displayed on a drawer or a floating window, whichever you prefer. 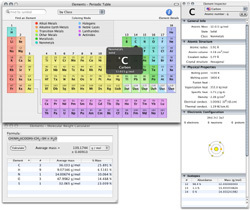 This inspector shows you informations on Atomic Structure, Physical Properties, Electron configuration (with graphical diagram) and on known Isotopes. 1. Information are conformed with the IUPAC recommendations. 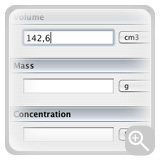 The Molecular Weight Calculator helps you determine exactly the mass of atoms in any formula. 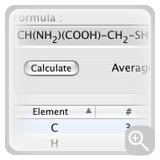 Just type the formula, click the "Calculate" button and... boom! That's it! Fast and accurate result. 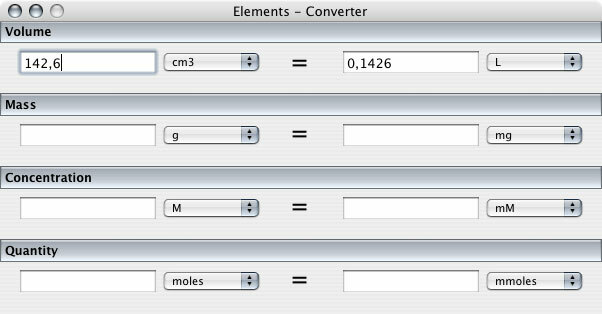 For your convenience, the formula accepts math symbols (like "( )" and "+") and is displayed with a correct position for index numbers as you type it. 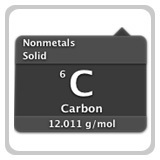 Complex formula, like CH(NH2)(COOH)-CH2-SH + H2O, is a piece of cake for Elements. © 2005-2009 Digital Science. All Rights Reserved Worldwide.